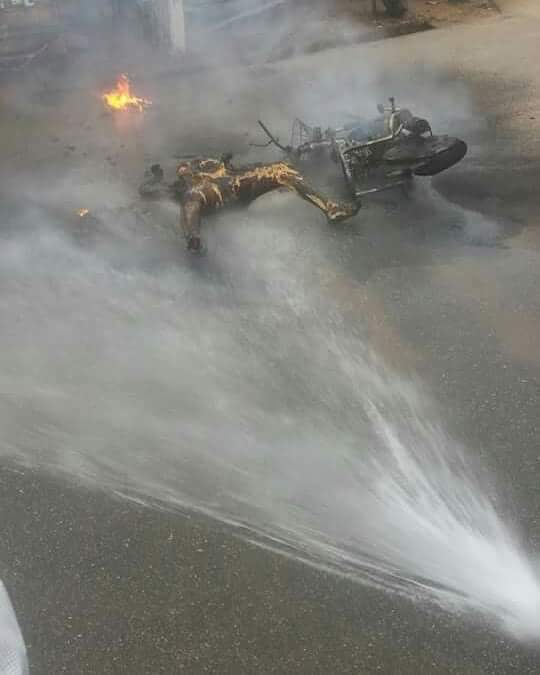 Pregnant petrol black marketer burnt beyond recognition after SUV knocked down her motorcycle in Delta State ~ Nigerian news platform bringing you News in Entertainment, Politics, Sports & Lifestyle. 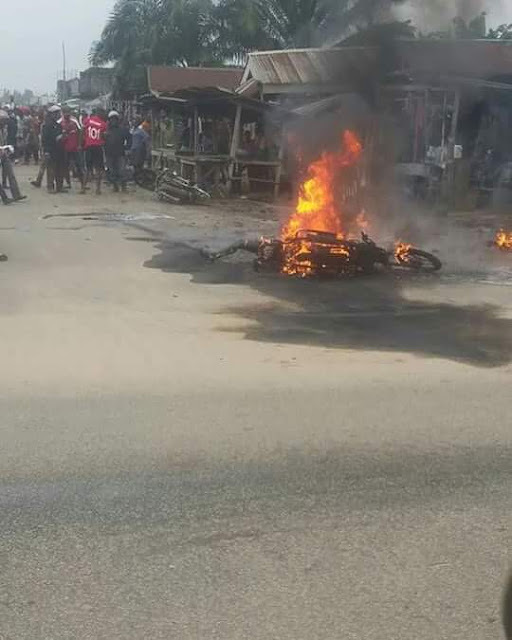 A pregnant woman was burnt burnt beyond recognition in accident involving an SUV and motorcycle at Navy Junction on Ibori Road in Oghara town, headquarters of Ethiope West Local Government Area of Delta State on Tuesday morning. The deceased identified by residents as Madam Gbogbo, a petroleum products black marketeer and second-hand clothes dealer. 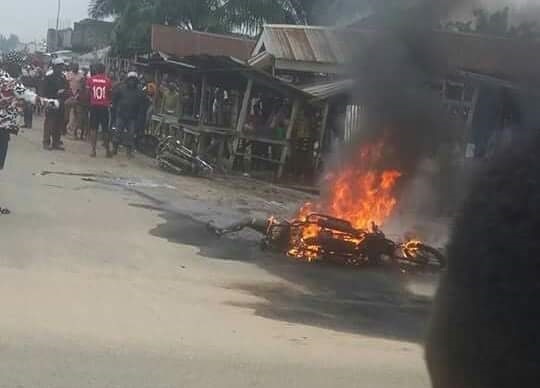 It was gathered the woman was returning from a petrol depot with a jerry can of fuel she had bought when the jeep knocked down her motorcycle. 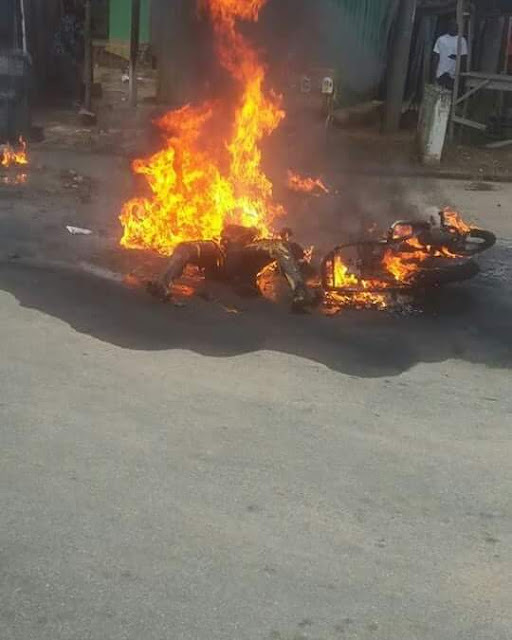 “She was riding the motorcycle with the jerry can placed on the tank in front of her. The fuel exploded in the process, and there was nothing anyone could do to save her life,” an eyewitness said.